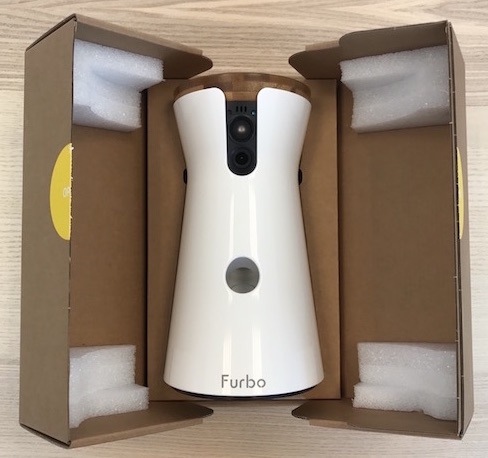 Can Furbo Camera Help Cure My Dog’s Separation Anxiety? My malamute, Zeva, has severe separation anxiety. 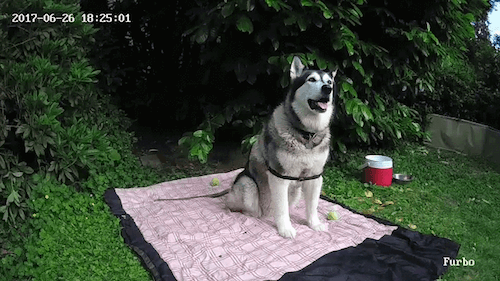 When left alone she will howl…for hours! I’ve always left her with a top or a pair of shoes I’ve worn recently when she’s going to be home alone, along with one of those toys with a treat inside, I’ve given her a nice, comfortable place to hang out… But nothing has worked and I’m guilt ridden that she feels so lonely. 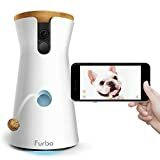 That’s probably why Furbo sounded interesting to me, unlike other pet cameras and home monitors; Furbo is the only one that is made for a dog. It’s designed to comfort and to stimulate that feeling of connection between the two of you even when you’re apart. 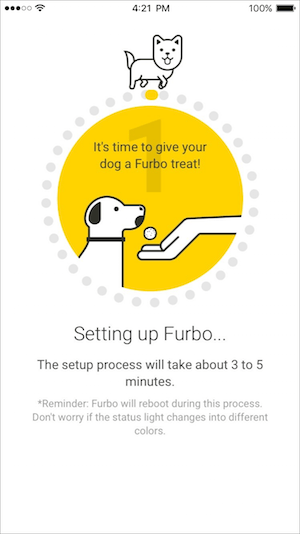 The idea of an AI product that was designed around my dog's perception of her environment piqued my curiosity. 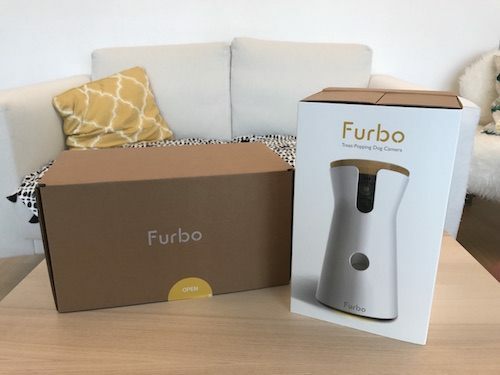 The packaging was nice on Furbo, it came well-padded and double boxed. 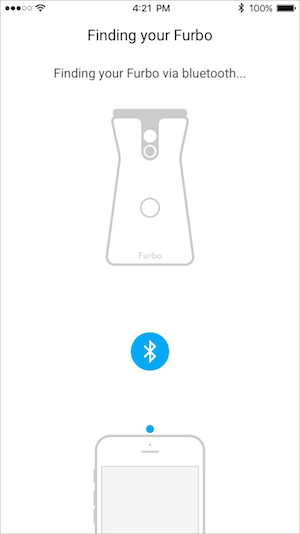 I’m pleasantly surprised here, in the ads I’ve seen, Furbo has that timeless look and up close it’s pretty classy. It has some heft to it too, it doesn’t feel cheaply made. Personally, I like the blond wood look, so maybe it’s my own bias, but this could sit on a dozen different counters in my house and not disturb my décor. I was a bit nervous about the instruction manual at first, there seemed to be literally nothing to it. As it turns out it doesn’t really need a manual; it’s basically just adding a new device to my network. I plugged it in, waited for the green indicator light and a minute later I was tossing a treat. I’ve heard a few people say that they don’t like the app, that’s a little odd to me, a 5-year-old could use it and that’s great for me, I’m not looking for complicated. There's also a user's instructional video that is definitely worth watching. Zeva prefers to be outside whenever possible, so I decided it was a nice enough day to test it in the yard. These screen shots might not be frame-worthy, but they’re pretty cute! I should give the maker’s a disclaimer here, nowhere is it suggested that Furbo should be outside! I did put a waterproof sleeve on it and it’s sheltered well, but I probably won’t make a habit out of it. The video is clear and streams well despite my spotty network and the fact that it was away from the house. This was the first time I tried Furbo while I was away and although I somehow forgot to set the audio on my end you’ll still probably notice the moment that she is distracted from her howling-she looks toward Furbo when she hears me and then gobbles up the treats. A small success, but a success none the less! The other cool thing about the app is that it automatically stores the videos and the stills in separate Furbo files on my phone so I don’t have to hunt around for them. The night vision is first-rate on this, I like that I can check on her after dark…and she likes to sniff out the treats! This treat tossing is a little addictive; it reminds me of Angry Birds! I need to remember why I got this in the first place. The idea here is for her to identify Furbo with me, not to think of it as a treat dispenser! We spent some time on this part actually, the instructional video suggested standing next to Furbo while you flicked the treats, hence the beginning of the association between me and the Furbo. I cut up some of her favorite treats so that they were the right size for the dispenser, and so far not a single treat jamb. 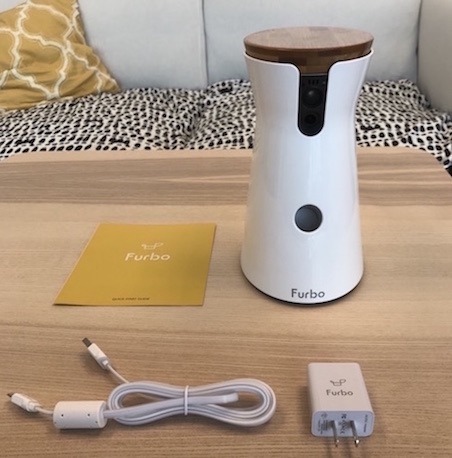 After a few days, Zeva is starting to understand that there is a connection between me and Furbo. I vary the times when I toss a treat, sometimes I just check in on her and just say something soothing. She’s not fully cured of her anxiety, but at least I’m able to offer her comfort and the howling has actually decreased a bit. The audio on Furbo got her attention immediately. It actually surprised me, I’d only been out of the room for a few minutes when I first tested it and I didn’t expect she’d react to hearing my voice coming from the speaker so quickly. 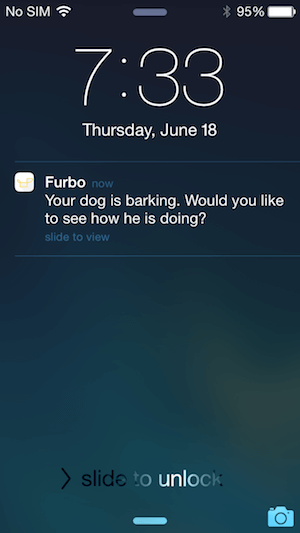 I like the idea of a barking alert, but Zeva rarely barks, as I mentioned she’s a howler. Fortunately, it picks up the howling too, medium seems to be the best setting for us. What I didn’t expect is how much I’ve started to rely on the ability to check-in on her. Honestly, at first, there was a part of me that felt like I was being over-indulgent. I didn’t realize how often I worried about her throughout the week. Since she prefers the yard to the house on a nice day, I always worry that she’s dug her way out and is wandering the streets. Furbo has actually eliminated an anxiety that has plagued me since she was a puppy. If this past week is any indicator, I may have found a way to finally ease some of Zeva’s separation anxiety and for me that’s priceless.